While our coverage of this year's CES in Las Vegas was pretty comprehensive when it came to the big name announcements like LG's Rollable OLED R TV, there was plenty of smaller, more-niche gadgets and gizmos that we didn't have time to spotlight during the show itself and got a little buried in the noise of the world's biggest consumer electronics tradeshow. We're taking a moment to appreciate and highlight each of these products up in a new recurring feature called The CES Files, which we'll be running over the next month or so. Without any further hustle, here's the first installment. 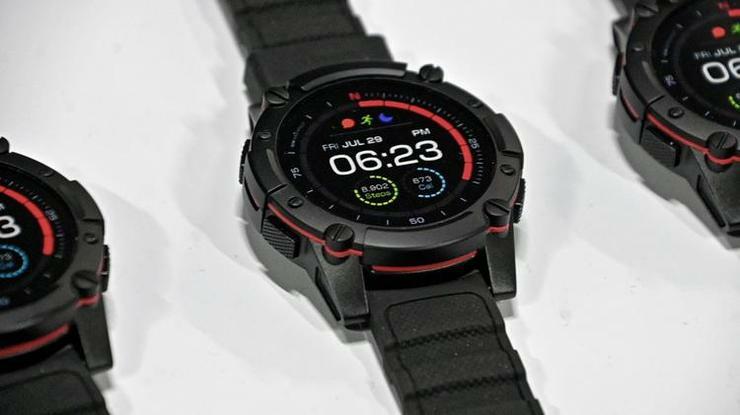 Although it isn't as flashy as fare like the Apple or Samsung Galaxy Watch, Matrix's PowerWatch products have slowly become more and more advanced with each installment - and their latest effort continues this trend. Now in its fourth iteration, the new PowerWatch 2 aims to solve a common problem that many other smartwatch brands still struggle with: battery life. However, rather than address that shortcoming through brute force, the PowerWatch has a nifty workaround. The device is powered by thermoelectric generators that convert the heat from the users body into charge. Essentially, this setup allows the product to charge while being worn. The new PowerWatch 2 supplements this with a set of solar cells, allowing it to gather and store more energy than previous generations of the hardware. It also allows the new wearable to offer a full-color LCD where the previous models were limited to mono. The new watch comes with plenty of modern comforts including step-tracking, heart-rate monitoring, GPS location tracking and easy integration with both Apple HealthKit and Google Fit. The PowerWatch 2 is also water resistant to 200m and supports notifications from a connected smartphone. The PowerWatch 2 is currently available on IndieGogo.